Jon Favreau wanted to perfect a photo-real Disneyfication of a contemporary “The Jungle Book,” and the results are impressive. So much so that the hybrid is not only being discussed as a definite VFX Oscar contender but also a potential animated feature). However, with Disney already touting three strong contenders (“Finding Dory,” “Zootopia” and “Moana”), it has no intention of qualifying “The Jungle Book,” which would be a tough sell as a hybrid to the old-school Academy. 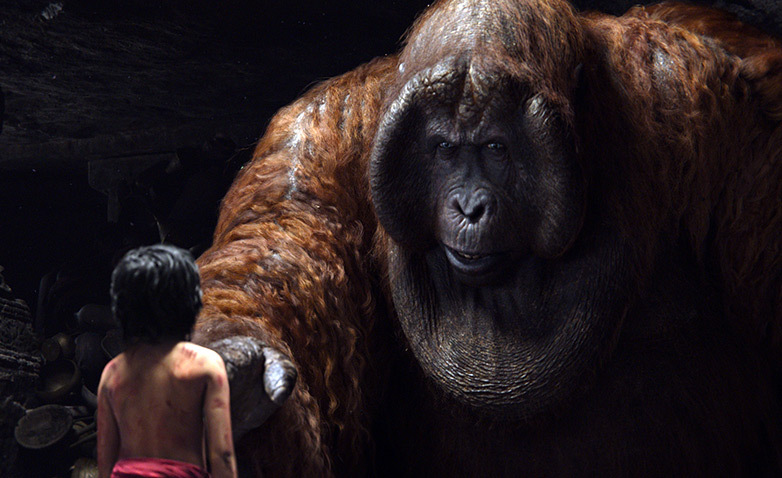 Still, there’s plenty of VFX brilliance orchestrated by production VFX supervisor Rob Legato (“Hugo”) and executed by MPC and Weta Digital to blur the lines between live-action and animation with live-actor Mowgli (Neel Sethi) as the centerpiece. Rather than cinematographer Bill Pope shooting all of the actors on stage together with the young actor, they shot their voice work separately and used puppeteers as stand-ins with Sethi. This was a more traditional approach to accommodate Favreau’s comfort zone. “We had the analog freedom to just choose when we cut to the close-up,” said Legato,”and we picked it like we normally do in live action. That became the blueprint that we were going to bring to the blue screen stage to recreate specifically that shot. And we knew with great authority that it would fit into the whole because we’d already seen it edited together in previs. MPC, which did the bulk of the environments and character work under the supervision of Adam Valdez, created 54 species of animals and 224 unique animals with new computer programs to better simulate muscles, skin and fur. Additionally, the studio’s Bangalore facility did extensive research for the jungle before animating plants, trees, vines and rocks along with rushing rivers, mudslides and grasses blowing in the wind. But the mainstay was the character animation of such beloved iconic characters as Bagheera the black panther (Ben Kingsley), Baloo the bear (Bill Murray), Kaa the python (Scarlett Johansson) and Shere Khan the Bengal tiger (Idris Elba). “Animated hero characters are in every scene and required constant modifications,” said Valdez. “Scene by scene Jon wanted to avoid seeing the the mouth too much because it might strain credibility. We decided on subtle facial cues that don’t stray too much from an animal’s normal range. But it wasn’t a 1:1 performance capture like Andy Serkis doing Caesar from “Planet of the Apes.” Walken delivered the lines with grand arm movements while Favreau provided body reference, so it was totally artist-driven and keyframe dependent. Integrating “I Wanna Be Like You” had its own iterative process as well. It was originally planned as a song and dance number in the end credits. However, Favreau decided to honor the original by including the song, but it no longer fit the darker tone so a new version was created (less big band), and Weta had to dial it down in post. For Legato, “The Jungle Book” continues his quest to perfect an analog approach to virtual production, where the rules of on-set shooting still apply. “It’s exciting for me because it bodes well for the future to create anything and not just for movies that are larger than life about superheroes and destruction,” he said.